What is it? A Playstation 4 exclusive semi-arcade-style racing game developed by the people who brought you Motorstorm that focuses on career and multiplayer racing and events, leaderboard/ghost challenges, joining clubs, challenging other clubs and levelling up as you unlock more races and cars. Driveclub revolves around race, time trial and drift events, includes 50 cars ranging from hot hatches to supercars (no customisation or tuning options) and 55 circuit or point-to-point tracks that span 5 major locations. You go from event to event beating objectives to progress, but thanks to little mini-challenges that dynamically pit you against friends mid-race, as well as leaderboards and friends’ ghosts taunting you, you may often find yourself revisiting events to best your buddies. Driveclub is a visual treat at times though, and thanks to day/night in the game, can look unbelievable when the light is right. The cars handle really well and still maintain the attributes of their real life counterparts, albeit way more forgiving and easy to drive. The A.I is a low point though as you will often get frustrated with being blocked or bashed off over and over again and be warned because if you aren’t connected to PSN the game is heavily stripped of some of its best features. 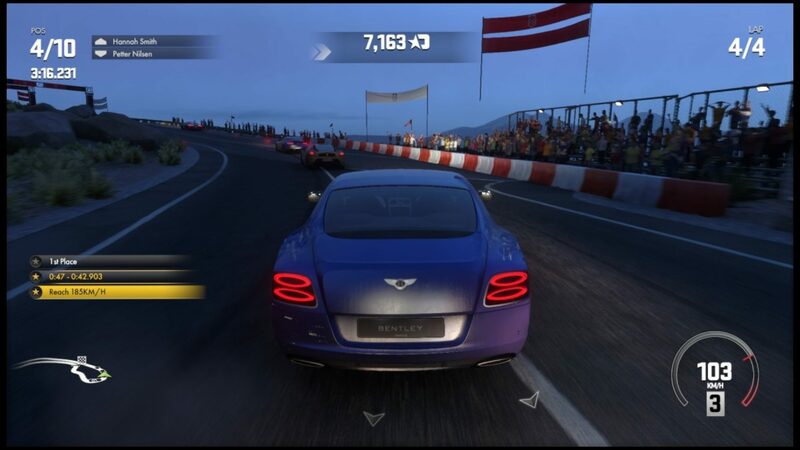 Driveclub servers have been down and so we have not been able to give an opinion on the multiplayer component. Please check back for updates to the review soon. Enjoy our review? It’s nearly Halloween, so don’t forget to also check out our Top 5 list of scary game moments!